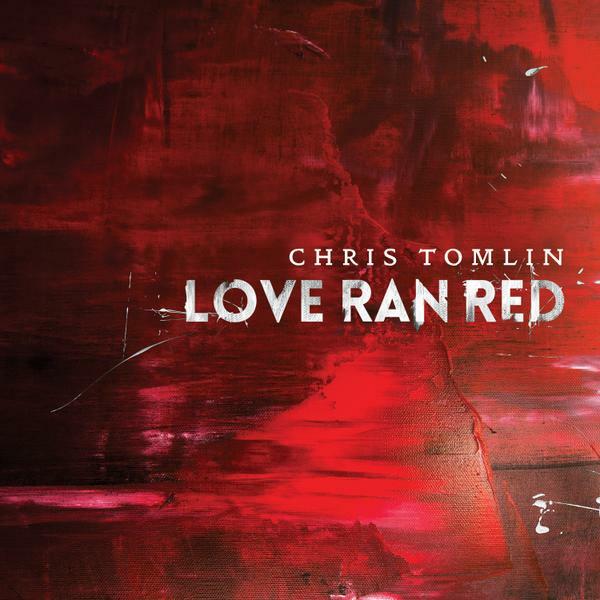 Grammy award winning worship leader Chris Tomlin is about to release his highly anticipated new album 'Love Ran Red'. Every time Chris releases a new album, people take notice. He released his last studio album, 'Burning Lights', in January 2013, entering the Billboard 200 overall album chart at number 1, whilst previous album, 'And If Our God Is For Us...' (2010) won a Grammy Award. Read More Grammy award winning worship leader Chris Tomlin is about to release his highly anticipated new album 'Love Ran Red'. This album is very much a Chris Tomlin album. If I played these songs to you and didn't tell you who had recorded them, you would know straight away. Saying that, this isn't a carbon copy Chris Tomlin album, he hasn't just re-published an old album, Chris has put together some really strong songs that are unique and creative. Opening track 'Greater' starts off like a Killers track, with its heavy dance synth sound. The song then quickly turns into a wonderful worship track. It has a big chorus that is instantly memorable. "Greater is the one who lives in me, greater is the love of Jesus". The song builds in all the right places and I'm sure this will become a big song for the church. Waterfall keeps the momentum of the album going with the words, "your love is like a waterfall, waterfall". This again is classic Tomlin, it has a very catchy chorus, which is one of the greatest qualities of Chris' songwriting. The album moves into a more intimate worship setting with the title track At The Cross (Love Ran Red). I personally think this could be one of the best songs Chris has ever written. "At the cross, at the cross, I surrender my life, I'm in awe of You". This song is all about bowing before God and giving Him everything. Radio will love the track Jesus Loves Me, this mid-tempo song gradually builds into a rock worship track that is all about repeating that Jesus loves me. But it's during Boundary Lines where things start to get really interesting musically. There is so much energy in this modern dance inspired track, it reminds me of a more chilled out 'God's Great Dance Floor'. We then move back to a more piano led start to 'Almighty', which is all about the mighty power of God. This is a wonderful intimate worship song. 'The Roar' has a bit more foot tapping energy that will get you nodding your head in approval. As the album continues, Chris seems to try a few different things. The track The Table is a funky intimate song, and Chris could easily have made this into a really slow worship song, but he doesn't, and for this he must be given credit. The creativity of the album grows as the album progresses. I think in a way the tracklisting being moved around might have helped spread that out a little, but that's just my opinion. It's worth paying attention to the vocals and rich sounds of the track I Will Boast. Just take a moment to listen to this truly wonderful highlight of the album. 'Love Ran Red' is all about the majesty and mightiness of God, which comes over throughout the lyrics. This is a classic and sturdy Tomlin album and tracks like 'Fear Not' and 'Greater' have some fabulous sounds. The album takes the listener closer to the Majesty of God and I think that's what Chris really wants.